Cyber threats and breach of data have become a pain in a number of businesses. They literally render one helpless. In fact end points as well as network security are not enough anymore. This is because they really neither protect your data nor your applications. Data and applications are the most important things in any business as they run the business. This is where Imperva data and security solutions come in. We understand just how important these two are to you. If you have been a victim of cyber security threat, you will be glad to know that Imperva is always present, ready to deliver the best cyber security solutions with a bid to protect your data as well as your applications. 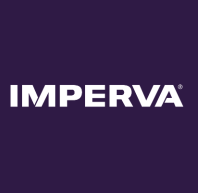 With the solutions brought forth by Imperva, you will be in a position that will not only enable you discover your assets but also your risks. This way, your most important information gets protected. This information may include your trade secrets, daily data, intellectual property and so on. We at Imperva also help you to be in line with the ever changing regulations on data protection, policies and audit controls. As earlier on mentioned, network and end point security have become redundant. Intentional or unintentional actions made by users can no longer be defended by endpoint security. Cloud applications, big data repositories, websites, databases, files and share point systems are all protected by Imperva. The technology applied provides a platform for visibility access into data. Unauthorised users as well as suspicious websites can easily be tracked thanks to our sophisticated software and applications. This way you can easily forget about cyber threats of all manners. Our team of experts working behind the scenes have great experience and skills with regards to data and application security. They are always forward thinking and always come up with new preventive methods to provide solutions to problems even before they happen. Regardless of whether your information is in database, SaaS app, in the cloud or on premises you can rest assured that our team of world class experts will be able to adequately provide you with the best data and application security solutions. The platform is ever evolving in a bid to keep up with cyber criminals. Cyber attacks and new threats will always be in existence but at Imperva, we strive to provide you solutions that will take you in the long run. WHY GO FOR FORTINET FIREWALL?